Arrive Monday and depart on Friday. We will take care of everything in between! Glacier and Wildlife viewing is a combination tour at a day rate of $1,800 for up to 6 passengers. All of our Water taxi rates to the destination of your choosing are priced depending on the distance to be traveled. Check out the Water Taxi tab of this website and call for rates and availability. 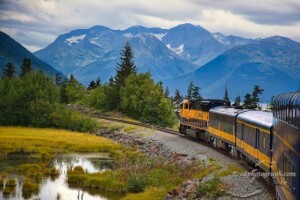 Begin your Alaska Vacation Package in Anchorage by boarding the Alaska Railroads Explorer Railcar bound for Whittier, Alaska. Your Railroad tickets can be included in your total booking package. View, spectacular scenery as you glide on the tracks along Turnagain Arm, named by Captain James Cook in 1776 while exploring Alaska in search of the North West Passage. On the vertical cliffs overlooking the train look for Dahl Sheep feeding. On the other side of the train, Turnagain Arm has some of the largest fluctuation of tides in the world, often causing a Bore tide, a wall of incoming tidal current. When the water is calm beluga whales can often be seen as well as numerous Eagles either soaring or standing in the shallow water near the shore. On trips going to Whittier, the train changes tracks in Portage, Travels under the mountain through the Anton Meyer Tunnel, the longest tunnel in North America, and arrives in Whittier, the Gate Way to the Prince William Sound. 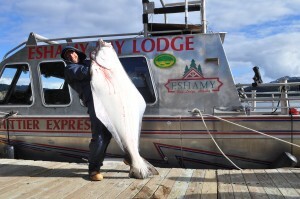 In Whittier you will board Prince William Sound Water Taxi, to travel approximately 35 miles by boat to Eshamy Bay Lodge. The hour and a half boat ride will share the unending beauty of this magical place. Sheer cliffs, cascading waterfalls, and Glaciers will leave an everlasting impression on you as you cruise out of Passage Canal. Seas are typically calm in the Prince William Sound, making wildlife viewing for whales, Dahl’s porpoise, otters, eagles, seals and bears a relaxing experience as you cruise to your destination. 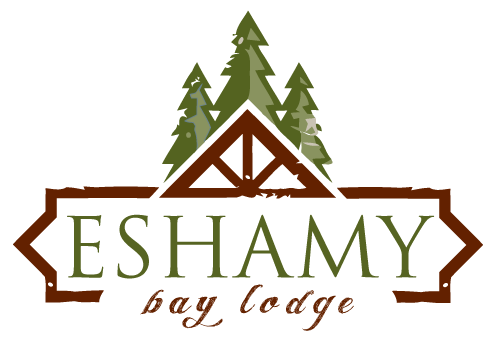 Upon arriving at Eshamy Bay Lodge you will see overlooking the floating dock, the Cookhouse and the newly constructed cabins, nestled in the Hemlock trees, your home away from home for the next few days. There are many activities you to enjoy on your own. Kayak the serene nearby waters, try some shore fishing or fish from the docks, hike along the shoreline or in the endless hills behind the cabins, film and photograph the beautiful scenery and wildlife, or just relax on one of the beautiful outdoor decks or in the comfort of your room.